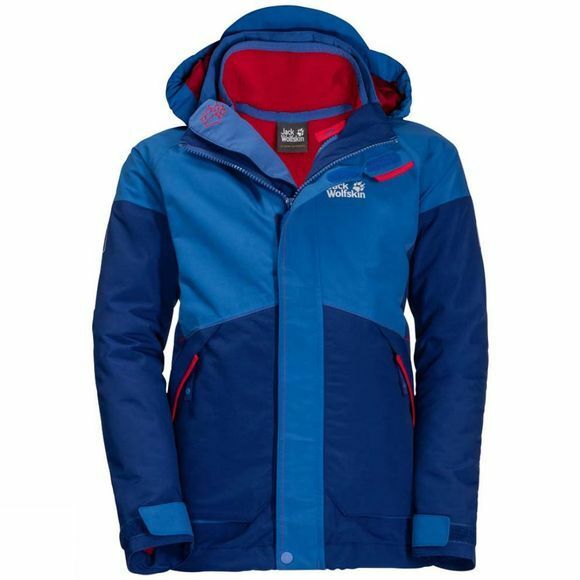 The Boys Polar Wolf 3in1 Jacket is designed to keep the Polar explorers of tomorrow snug and warm on icy-cold winter days. It focuses on durability and insulation, so with this jacket, the winter countryside is one big adventure playground. For the outer jacket, Jack Wolfskin used an extra robust version of our tried and tested Texapore weather protection fabric. And should your child get snagged up by the hood, the safety press studs will release instantly and the hood will detach from the jacket. 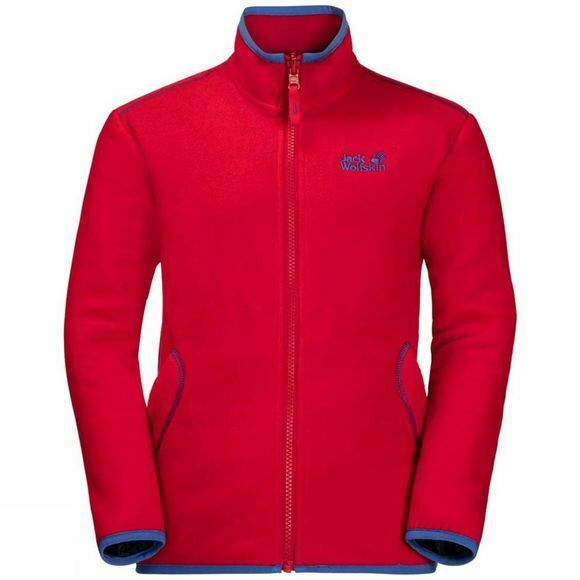 The inner jacket of the Polar Wolf 3-in-1 is made of our extra warm Nanuk fleece. It is very thick, with a smooth exterior and a soft, brushed reverse side.The clever system zip allows the two jackets to be zipped apart in an instant, so your child can wear each one separately. Which means your little outdoor fan is properly kitted out throughout the year.